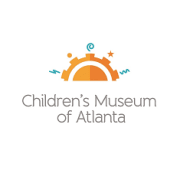 The Children's Museum of Atlanta is always looking for volunteers to help with our floor exhibits to enhance our guests' experience. We are looking for people who like to have fun, are creative, enjoy helping children learn and play, and have a positive spirit. The volunteers help enhance a child's experience at the museum by engaging in educational play, encourgaing use of our imagination, and keeping our floor safe by maintaining a tiday environment. Children's Museum volunteers may choose to work in a variety of areas in the museum. This includes on the floor, assisting our art or science educators, helping with events, working in our office, or traveling with staff out into the community to promote the museum. Whatever your gifts or desires, you are sure to find a role to help the Chilren's Museum continue its mission.